I woke up this morning feeling some bank holiday blues. 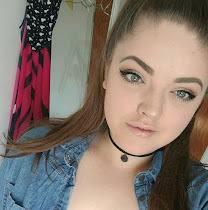 I had huge stomach pains from all the food I ate yesterday (Easter Sunday roasts are the best thing since Christmas dinner! )and there was still chocolate staring me in the face begging me to eat it. I decided that fresh air was what I needed (and to get out of the house so that damn egg would stop talking to me) so I took a stroll to Tesco and had a little mooch around the very small beauty aisle and picked up a few things. Would you believe that all the pain has now gone?! Like magic. I noticed that this Garnier Micellar Cleansing Water was only £3.99. I mentioned this in my skincare wishlist and was planning on picking this up from Boots but the price has gone back up to £4.99 so I thought I'd grab it while I was there. I'm really looking forward to trying this out and comparing it to the L'oreal one which I wasn't too keen on... you can read about that here. 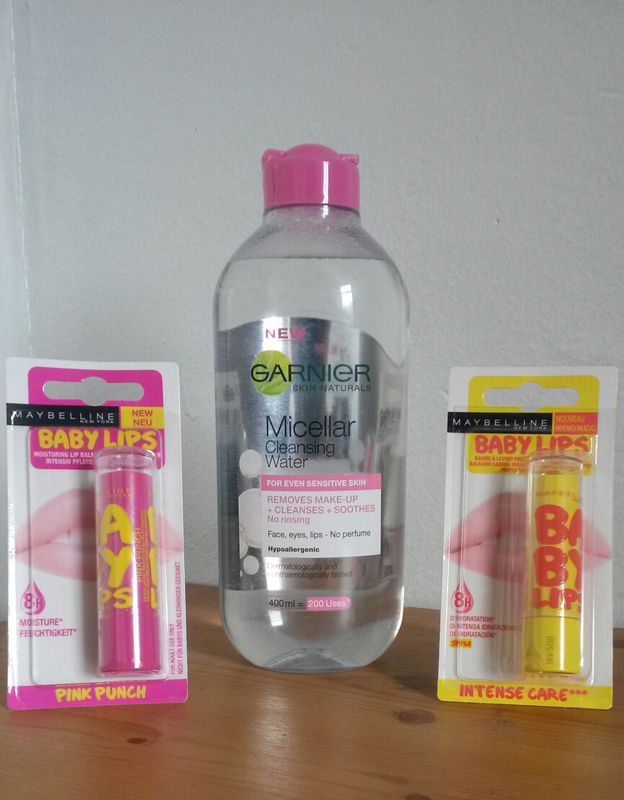 I also picked up two of the Maybelline Baby Lips. Everyone went mad for these when they were first released over here in the UK but I just really wasn't that bothered about them, which is strange because I have an obsession with lipbalms. But I've seen loads of people talk about these and I decided that I deserved one... or two... you know, to make myself feel better. It was purely medicinal, shall we say? I chose the 'Intense Care' and 'Pink Punch' but it was a close call because I also really wanted the 'Cherry Me' and the 'Hydrate' ones too! If I get on well with these then I'll definitely pick those up too. I'm super keen to give these a go.